This is where observations & fotos of Nest #25 can be posted. 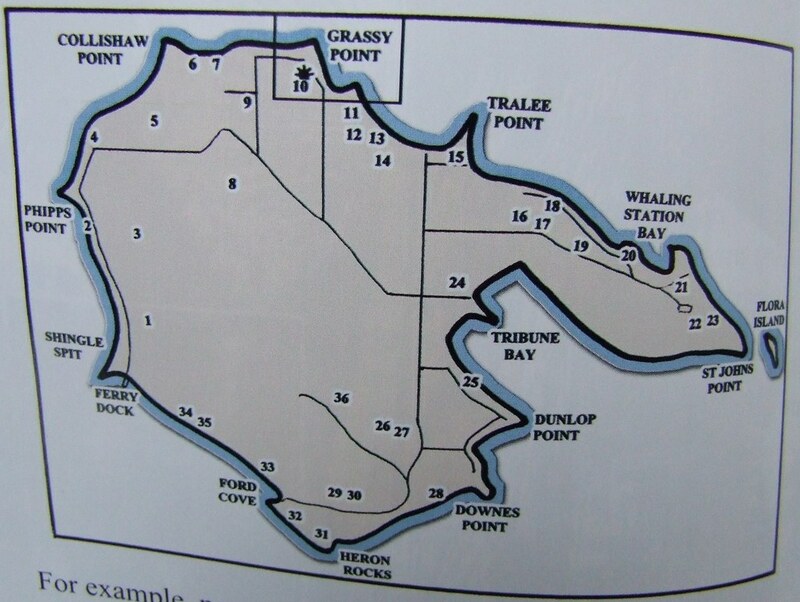 Here is Doug*s map of the nests of Hornby, so that you can see where #25 is located. 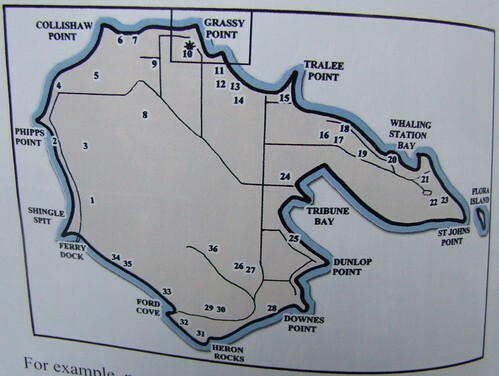 The map is found on page 42 of Doug*s book. Yesterday just before noon it was pouring & blowing & i was heading to work. 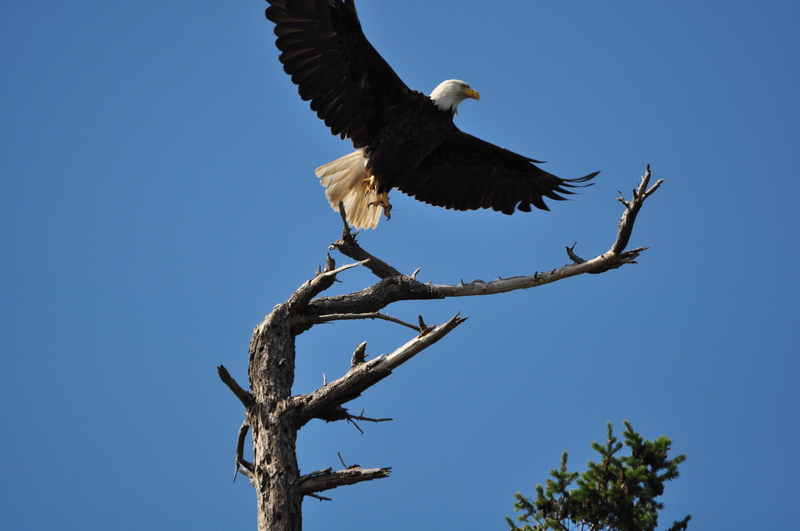 i was passing Tribune Bay when a large wingspan caught my eye. i pulled over so that i could watch. 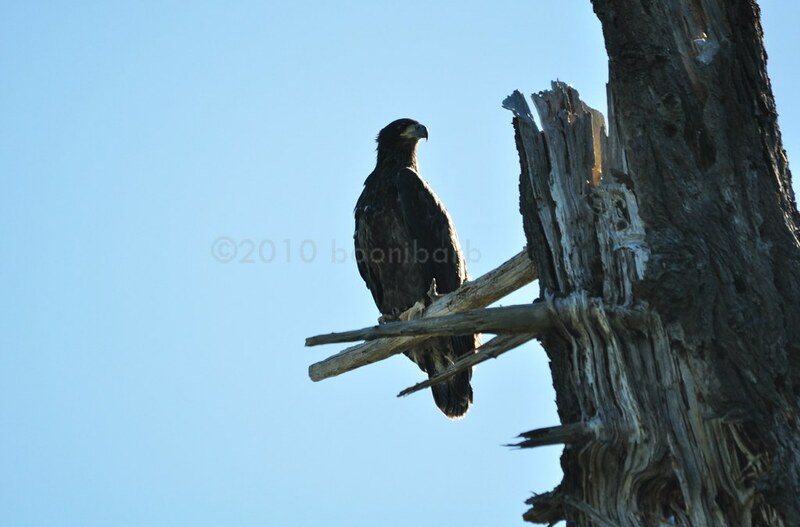 It was a juvenile bald eagle! 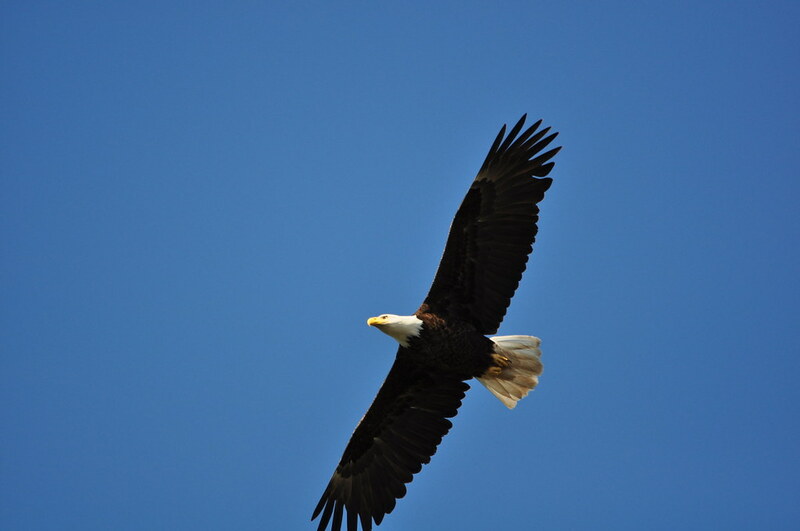 They were flying over the field & zipping around in the strong wind. They flew right over my head & then up the hill where i was heading. 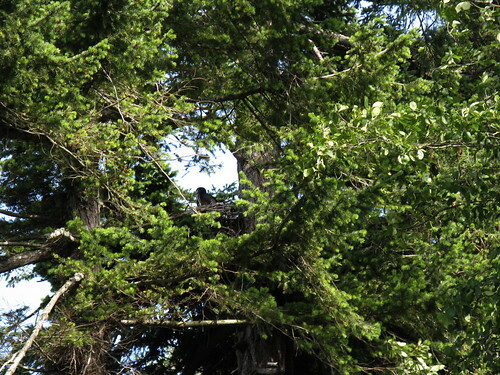 i was able to observe them for about five minutes & then they disappeared into the trees. 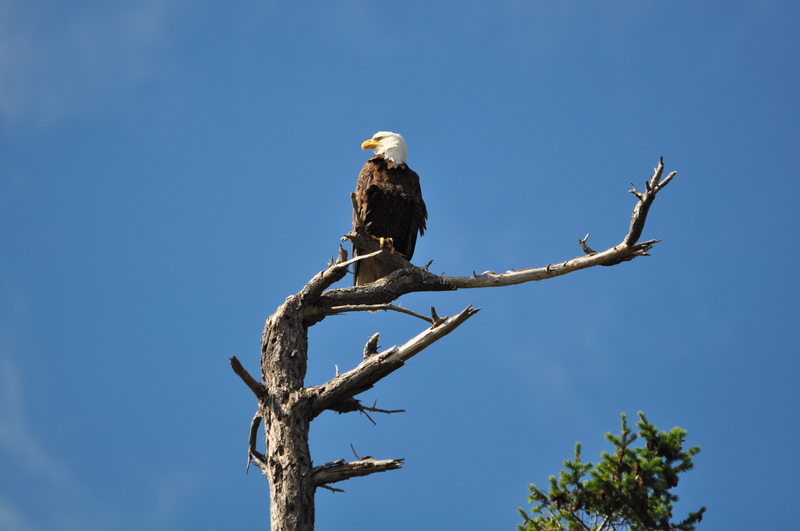 Where i saw them was on the shore halfway between Nest #24 & 25. Great boonib! You say "they." About how many were there? Have you noticed more than 2 in an area together before? I wonder when they choose a territory. That would be interesting to know. Maybe Doug would answer some of these questions if you don't have the answers, Or you can always ask him and pretend that you knew along. Bottom line, I wonder if one of them was our beloved Hope? Yeah, sorry, i say they rather than he or she when i don*t know. It was just one juvenile. This would be WAY out of Hope*s original territory. But Nest #24 had one eaglet & Nest #25 had two. Maybe it was one from one of these nests? &, yeah, i guess Doug will have to answer your other questions, as i don*t know. It was sure cool seeing one tho! Nice shots Booni!!!! Eaglets are so cute!!!! 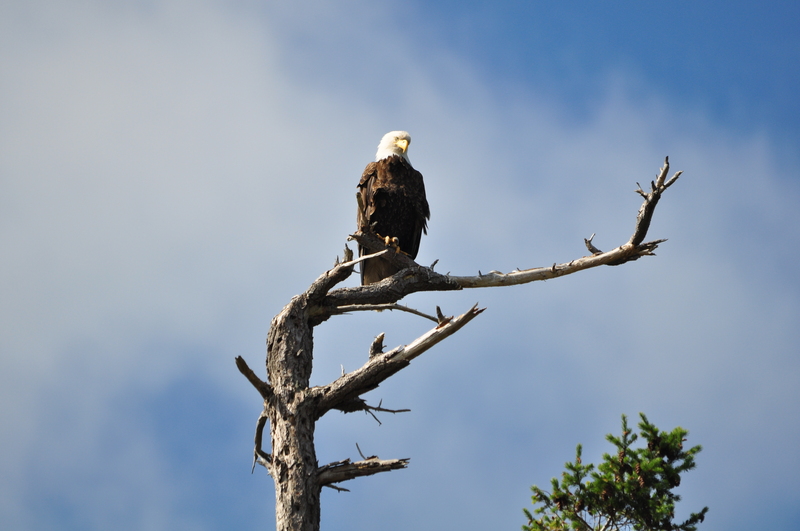 So, today i got a call from someone who lives near an eagle nest. They are seeing a young eagle crying, & the parent bringing them food & feeding them in the nest! Turns out they live near nest #25. 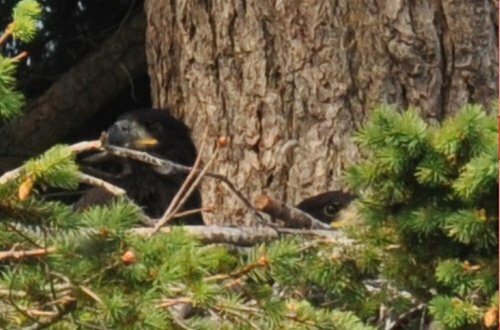 They are seeing both the parent & the young one in a perch tree as well, so is this a returned eaglet from last year being fed by the parent in the nest? & the parents haven*t hatched eggs this year? Doug says he*s never heard of such a thing. Yesterday Booni, Fol-di-rol and I took a little tour of the south-east side of the island, checking out a few nests there. At the end of the day we stopped at nest #25, which I had never seen before. As you see from previous postings, we did not expect to find a chick in this nest. It was getting late, so we didn't bother with binoculars and such. I just wanted to learn the location. Booni pointed the nest out to us and told us a bit about its history. Apparently this is a very old nest, which has been in continuous use for over 20 years - like the cam nest. Booni stopped in mid-sentence. "Did you hear that? was that a screep?" At the same time I saw a giant poop-shot drifting through the air... from in front of the nest. An adult perched on a nearby tree, invisible to us, had just taken flight. 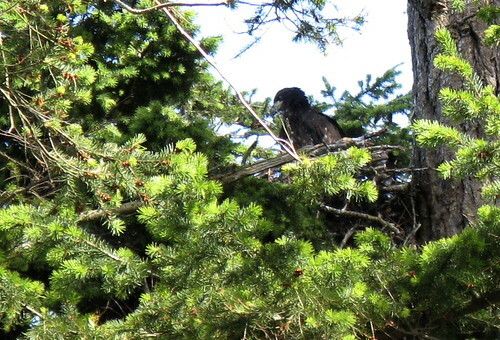 And there, on the nest, was the day's last surprise: a chick! standing up at last after hiding from Eagle-Eye Booni for so long. 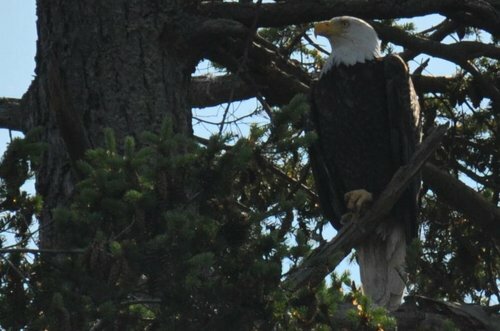 All this deepens the mystery about the eagles of this nest feeding a juvenile... More checking to do, and more stories to look forward to! Thanks so much, winterwren, for the beautiful photos. I'm glad that one of you is an optimist. I am so enjoying these stories, photos and mysteries. As someone said recently, who needs TV? I can't tell you the last time I watched one...I am always here and on WildEarth! This adult has an interestingly domed forehead. Then the adult took off & flew down the beach away from me, too far to hike with the camera. Today, between jobs, i stopped by nest #25 to see if i could spot the eaglet that wren & fol & i spotted there. 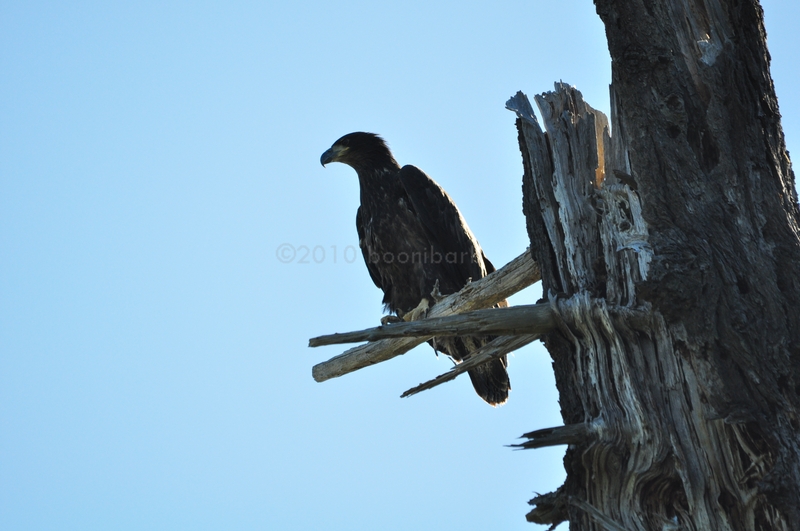 When i walked in & looked up, there he was on the perch tree where i saw the adult when i was there last time! 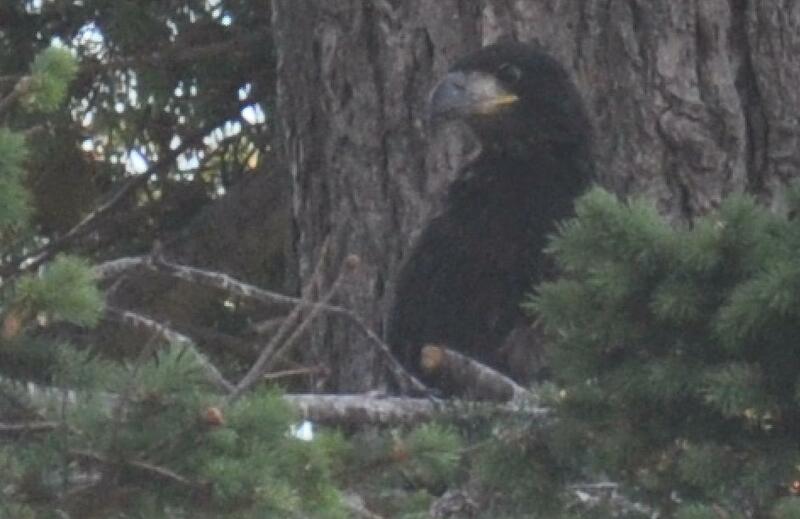 i am pretty sure this is the fledged eaglet of nest #25!! This perch tree is only feet away from the nest. i didn*t spot anyone else on the nest, & i could hear the adults nearby. Look at how slender he is! & how uncertain in his movements when he flies away!